Claims the Madeleine McCann fund was approached for money to assist the search for Shannon Matthews are being investigated, police have said. 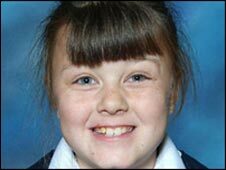 It is understood during the time nine-year-old Shannon was missing, the McCann family was asked for money towards helping find the schoolgirl. One man has been charged with Shannon's abduction. Her mother, Karen Matthews, has also been arrested. Police have until Wednesday lunchtime to charge or release Ms Matthews. The Madeleine fund was set up to help in the search for the three-year-old who has not been seen since she went missing in Portugal in May last year. It is understood one request to the fund was made by a man claiming to be a freelance journalist who was seeking money to help in the search for Shannon. The Madeleine fund later received a one-line email asking for money, and on another occasion someone claiming to be close to Shannon's mother made a call to representatives of the McCanns. Officers from West Yorkshire Police confirmed they are investigating the alleged approaches to the McCanns. 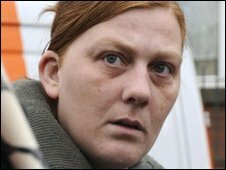 Meanwhile, Karen Matthews is being held on suspicion of perverting the course of justice. It is understood the 32-year-old is being quizzed about alleged inconsistencies in her version of events. Police want to know if she had any contact with Michael Donovan, the man charged with abducting Shannon. Detectives are comparing comments she made when her daughter was missing to remarks she is alleged to have made to friends, which were heard by a police family liaison officer. Michael Donovan, 39, has been charged with abducting Shannon, who was found safe on 14 March, 24 days after she went missing. Mr Donovan, of Lidgate Gardens, Dewsbury, was treated in hospital after committing what was described as "serious self-harm" while in jail awaiting trial for kidnap and false imprisonment. Following treatment for what were believed to be cuts to his wrists, he was returned to Leeds prison where he is on remand. A provisional trial date has been set for 11 November. Mr Donovan, who was formerly known as Paul Drake, is the uncle of Shannon's stepfather Craig Meehan. Two other women, 49-year-old Alice Meehan, the mother of Shannon's stepfather, and his sister, 25-year-old Amanda Hyett, were held on Friday. Ms Hyett, of Moorside Road, Dewsbury Moor, was arrested on suspicion of assisting an offender while Ms Meehan was arrested on suspicion of attempting to pervert the course of justice. Both were released on police bail. In a separate inquiry, Craig Meehan was remanded in custody by Dewsbury magistrates last Thursday after being arrested on suspicion of possessing indecent images of children.